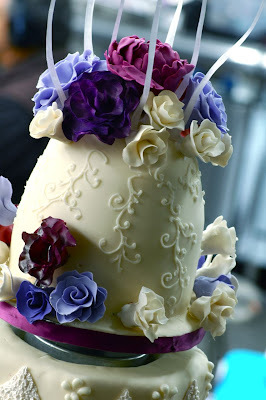 Sedona Cake Couture: Sedona Cake Couture WINS TLC's Ultimate Cake Off!! 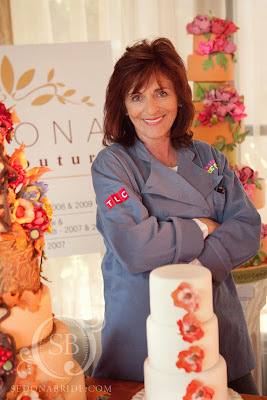 Sedona Cake Couture WINS TLC's Ultimate Cake Off!! WE WON ULTIMATE CAKE OFF!!!! 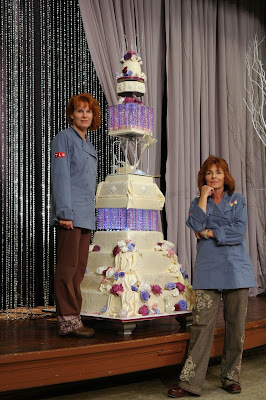 The team at Sedona Cake Couture was honored to be chosen to compete on TLC Channel's Ultimate Cake Off February 1,2010. 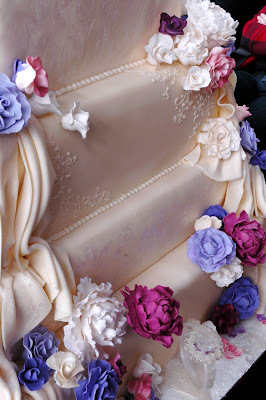 The season's premier episode was a "Winter Wedding Cake" for a beautiful Korean couple. The cake had to be at least 5 feet tall - our winning cake came in at close to seven feet tall. 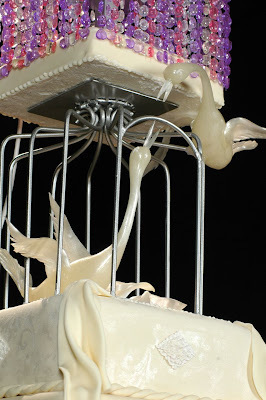 Three teams of cake artists from around the country competed in the 9 hour competition. The prize - $10,000.00. We're thrilled! 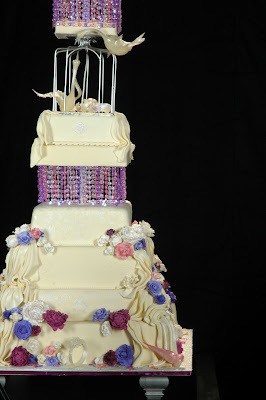 Here are some pictures of our winning cake complete with blown sugar geese, strands of sugar gemstones, hand-made sugar peonies and roses. Congratulations Andrea! Wonderful show, and it was great meeting you this weekend at Bridal Bootcamp! congratulations andrea!!! you did such a fabulous job! the cake is *amazing* and the win was very much well deserved! OMG! This is incredible. What a great prize to win too! Congrats to you Andrea! You deserve it! It was wonderful meeting you and getting time to bond! I loved your "behind the scenes" stories of the show. Congrats!!!!!! Congratulations!! What an amazing cake, and to think you and your team put that cake together under pressure! Awesome. Is there any better? Congratulations! You are the BEST I've ever seen in the cake business! I've seen the TV challenge and was happy that you won!